Weaning is a big deal for every Mom and her baby, and some families even have a little celebration for it! 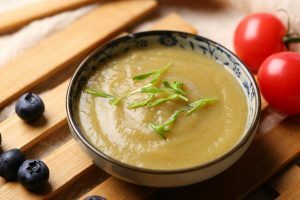 The first choice of weaning foods for most Moms is a fruit or vegetable puree, soon followed by slightly more textured foods like porridges. 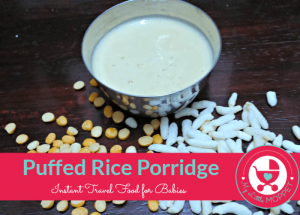 Porridges are a great option for little babies, since it’s easy to prepare and you can pack a good deal of nutrition in a single dish. 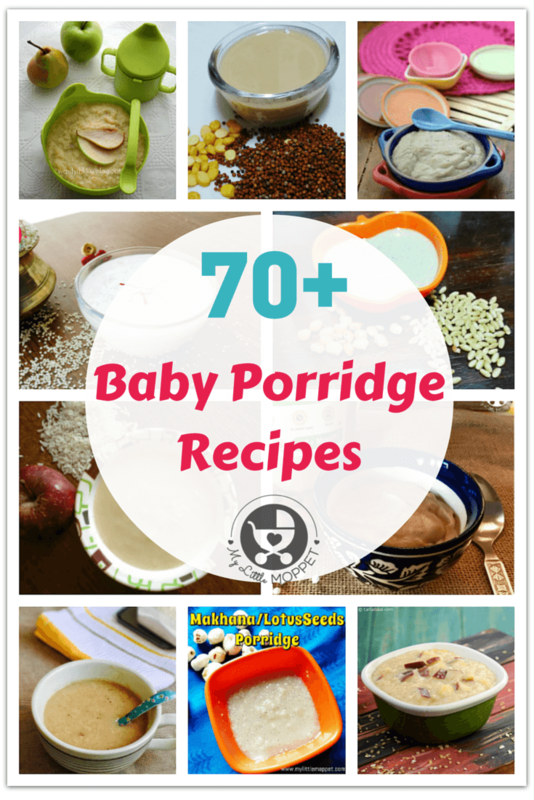 So to plan your baby’s menu over the coming weeks, we have here a whopping list of over 70 baby porridge recipes, so your baby will never get bored! In many parts of the world, rice is a baby’s first food, since it’s easy to digest and has very low chances of causing an allergic reaction. Rice is also rich in B-vitamins and is a good source of calories for growing babies. Barley is a very high fiber food with thrice the fiber content of oatmeal and is also rich in calcium and potassium. 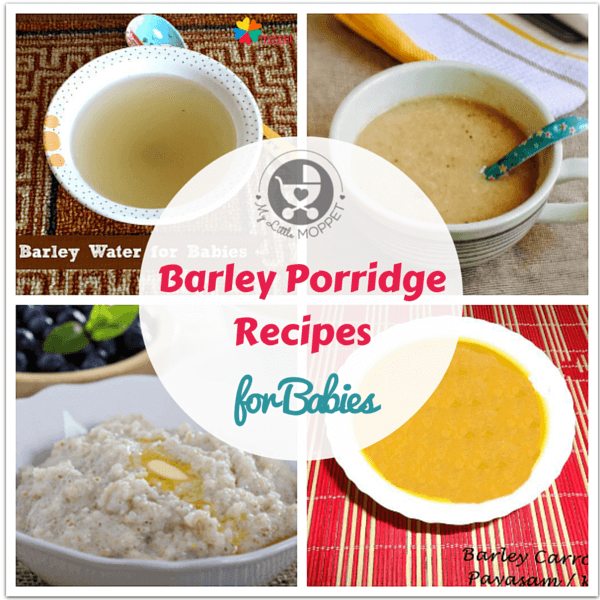 Whole barley is not fit for human consumption and must be hulled before it can be used, so be sure to buy barley that is specifically prepared for babies. 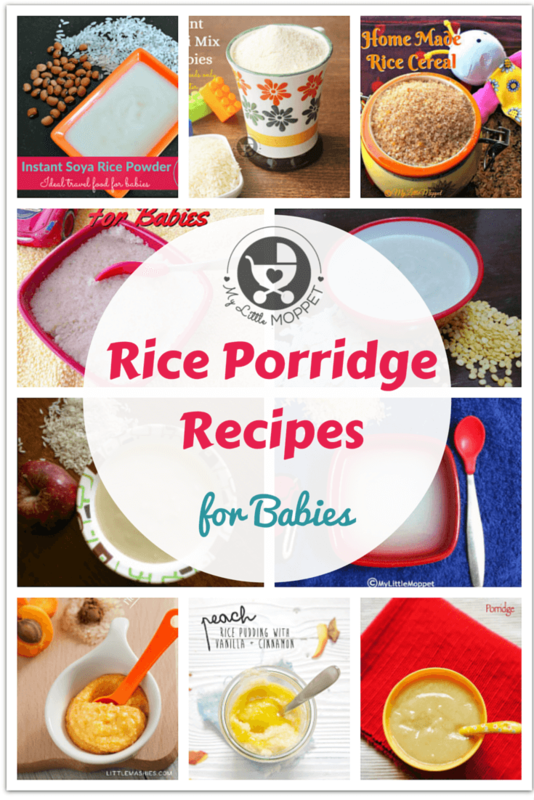 Get your baby used to whole grains from a young age and he’ll grow up with healthy food habits! Wheat is rich in fiber that ensures smooth bowel movements and also helps in maintaining good cholesterol and blood sugar levels. Weaning babies are often prone to constipation and other bowel problems as their digestive system takes time to adjust to the new diet. 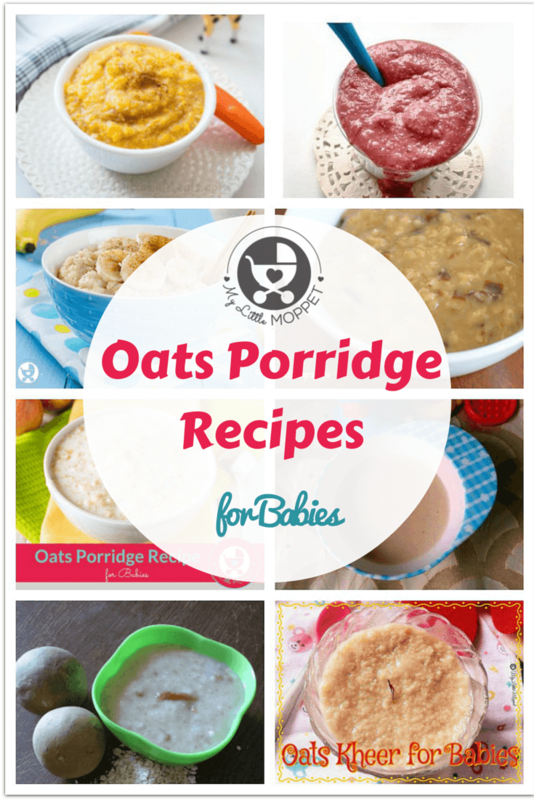 Oats also provides energy for active babies and is rich in essential nutrients – calcium, iron, magnesium, potassium, sodium and vitamins. 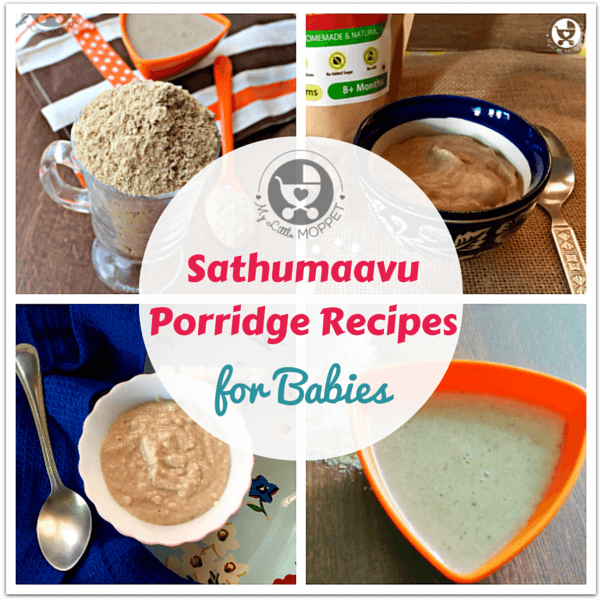 Sathumaavu has been traditionally fed to babies for generations in India. It is a perfect weight gaining food for your baby, made with over 12 natural ingredients. Making Sathumaavu requires a bit of effort, including individually roasting and grinding each ingredient, so if you don’t have the time for it, you can order homemade sathumaavu health mix here. 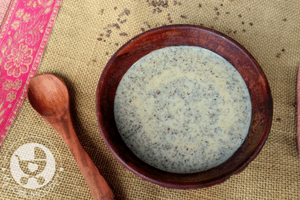 Ragi or finger millet is an excellent natural source of calcium, in addition to containing fiber, proteins, iron and minerals like potassium. This ensures that babies’ bones grow strong and that they get enough protein for cell formation and growth. 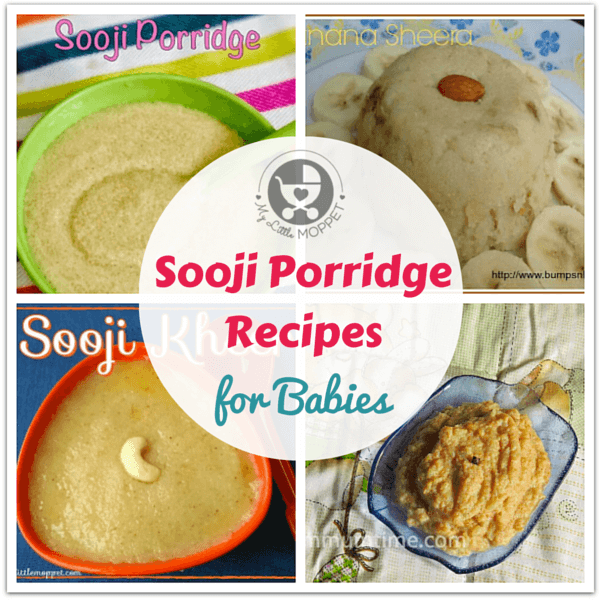 Sooji, also known as rava or semolina is easily digestible for babies’ developing digestive systems and tends to be filling for tiny tummies, making it ideal for lunch or dinner. 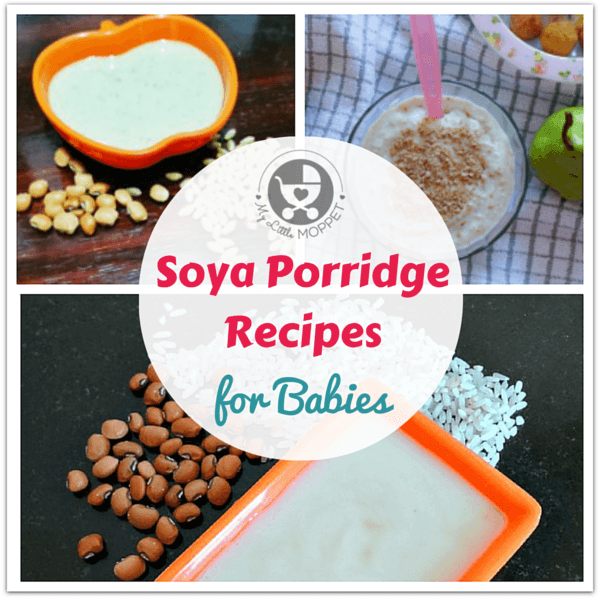 Soya is an excellent plant source of protein that is also rich in nutrients such as folate, potassium, fibre and also has antioxidant properties, making it ideal for vegetarian babies. Raw Kerala bananas are good for gaining weight, being rich in fiber and having a high calorie content. Raw Kerala Bananas are also a rich source of potassium, folate, calcium, magnesium, iron as well as Vitamins A, C, K and B6. 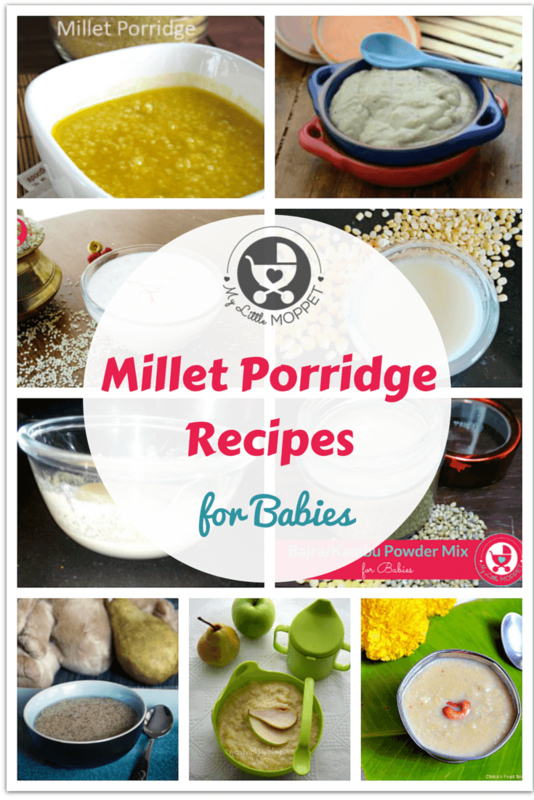 Millets are one of the oldest food known to man and possibly the first cereal grain consumed. They are nutritious and can be given to babies after 6 months. 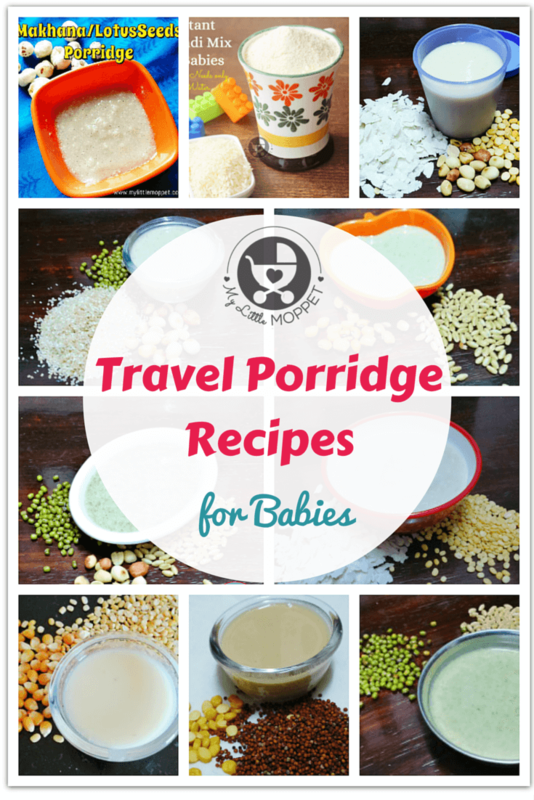 Travelling with babies can be challenging since not all places offer baby-friendly food and may not be feasible to create your own food from scratch. These instant porridge mixes come in very handy during travel, as all you need to do is add hot water and stir. 1. 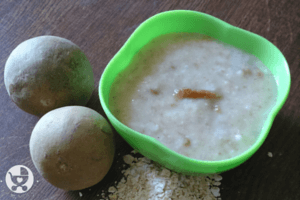 Thinning the porridge can be done with either breast milk or formula. 2. Natural sweeteners like apple or banana can be added. 3. 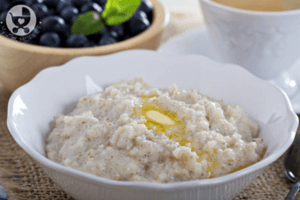 Never add formula while cooking the porridge, add it after the porridge is cooked. 4. 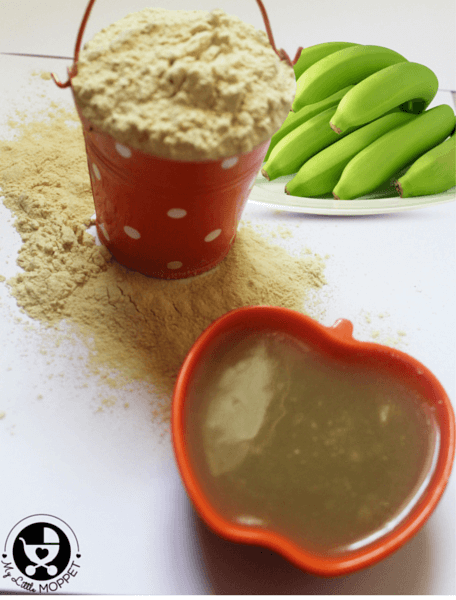 Fruits like banana, apple, pear, papaya can be added to the porridge to increase the nutritive value and also enhance the taste. 5. Dry Fruits Powder can also be added to increase the nutritive value. 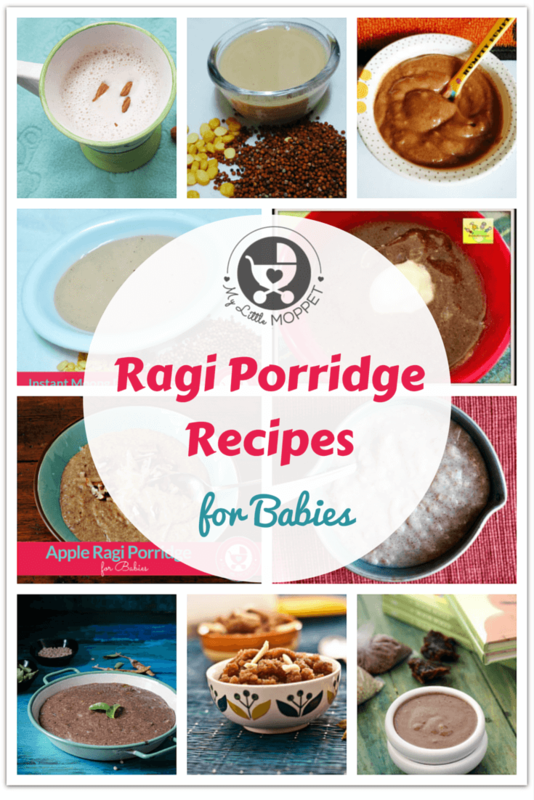 With such a massive list, you can be all set to make your baby’s diet as varied and colorful as possible! Not to mention nutritious as she gets the benefits of several grains, millets and pulses. 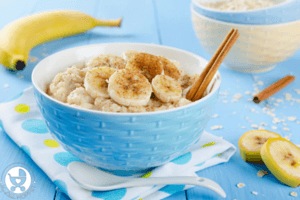 Add fruit and veggie purees to these porridges and you have a whole new set! Yes you can but initially try feeding it in small quantities to your baby to check how it suits your baby health. Use the 3 day rule and feed the new foods in morning. If your baby likes the product and has no changes in his/her health then you can continue feeding it to the baby. If you are introducing broken wheat to your baby for the first time then feed them as porridge dear. 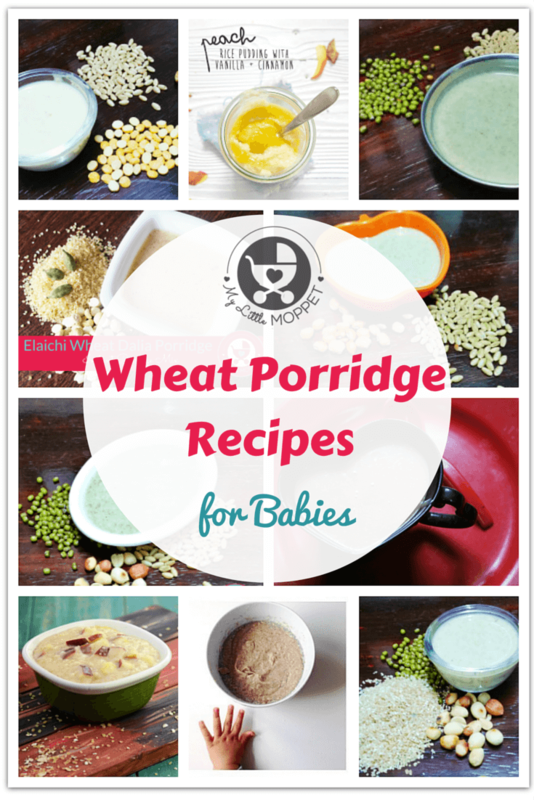 Wheat Dalia porridge babies can eat wheat dalia or porridge at 6+ months age. Thank you Poornima, feel good to read this. You said it’s not good to give commercial cerelac to babies, Wat of gerber or other baby foods and Wat age can you give commercial baby foods or they don’t need it at all. Hi dear, It would be great to avoid commercial foods completely for babies and kids. But it is important to avoid it alteast until baby completes one year. It is good to include more natural, organic and healthy foods in their diets even as they grow up. Your site is excellent.i get lots of ideas from u for which I was searching since a long time. Makes my day! Superb feeling to hear this from our members and customers.